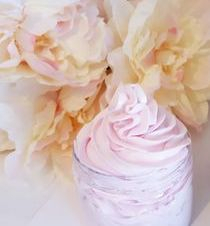 At Maiko Bath and Body, I hope you enjoy using my products as much as I enjoy making them! Please feel free to email us with any questions, comments, or concerns that you might have or just to let us know how much you love our products! For prompt answers to questions regarding your order or shopping on our website, please use our Contact Us form to contact our Customer Care department. As with any product, discontinue use if any irritation occurs. Each product is individually handmade. You are solely responsible for reading any and all ingredients fully prior to using our products. We will not be held responsible for use of any product due to not reading our labels or list of ingredients. If you are allergic to any ingredients in our products, DO NOT purchase. Due to the nature of our products being handmade, we do not accept returns. If you have an issue with your order or your order arrived damaged, please contact us at maikobathandbody@yahoo.com. NOTE: We reserve the right to cancel / refund any transaction that we feel may be high risk. (e.g. If you have too much negative feedback, may be fraudulent, suspicious, customers who report multiple damaged/defective items, customers who repeatedly report DAMAGED items in order to receive FREE products, etc). If you would like to make a change to your order, please email us within 24 hours . Any orders after our 24 hour time frame, cannot be cancelled or changed. We do not accept exchanges if you decide you change your mind after receiving your order. Can I return a product that I opened? We will not accept returns for items that have been used or tamper resistant seal has been broken or removed.This is for sanitary reasons and to ensure that every customer receives the freshest products of the highest quality. Items returned to us without prior approval, will not be returned, and refund will not be given. If you have any problems with your order, please email us as soon as possible within one week of your purchase at maikobathandbody@yahoo.com or you can fill out our contact us form. What happens if my products arrive damaged or defective? If your product (s) arrive damaged, please email us at maikobathandbody@yahoo.com or fill out our contact us form within 48 hours of receiving the damaged items. We may request proof of damage with photos prior to authorizing a return or replacement. We will either replace or accept returns for damaged or defective items. We highly recommend sending product(s) back to us using a shipping carrier who offers package tracking. If a package gets lost or stolen and is not traceable, we cannot be responsible. Please pack your return in a well-padded envelope or box to prevent damage in transit. Damaged items returned to us will not be refunded. No refunds/replacements will be provided if we do not receive notification after 7 days from date your order was delivered. Payments must be made through PayPal. Paypal is a secure payment method that protects your credit card information. PayPal accepts major credit cards including Mastercard, Visa, American Express, Discover, and bank cards. For prompt answers to questions regarding your order or shopping on our website, please fill out our contact us form or send us an email at maikobathandbody@yahoo.com. In cases where an item is out of stock, we will contact you whether you would like to back order items as soon as the item comes available or would like a refund. We use USPS to deliver your orders. Orders are usually shipped within 2-3 business days of receiving your order. Business days are Monday through Friday, excluding weekends and holidays. We may also ship on Saturdays to expediate your order. Orders will be shipped either First Class, Priority Mail, or Parcel. We only ship to the US continental 48 states domestic, no P.O. Boxes. We're sorry, but we do not ship internationally at this time. If you need an order expediated, please contact us and we will do our best to accommodate your needs. We will try to ship orders as fast as possible. During the Holiday season we will try to ship orders ASAP, please contact us if you need an order by a certain date and we will try our best to accommodate you. We may also offer express shipping during the holiday season. Any orders containing products with alcohol such as spray perfumes will be shipped ground due to postal regulations regardless of shipping method chosen. All other products will be shipped either First Class or Priority Mail. USPS will leave a notice for packages with signature confirmation for orders that are $100 or more. Unclaimed packages that are not picked up after attempted delivery that are returned to us will be refunded the purchase price less shipping and handling charges. Shipping and handling charges will not be refunded because delivery was attempted. We do not reship packages returned to us. If you would like to place a new order, you may do so at our website: www.maikobathandbody.com. Handmade soap should be stored in a cool dry place in your home. Keep away from heat or moisture. 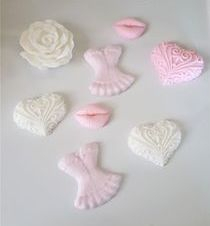 All handmade soaps are sealed with plastic to ensure freshness. Handmade soap will not survive if left in standing water. Always use a vented bottom soap dish for handmade soap. Handmade soap may have a shelf life of a 6 months to a year or longer depending on fragrance. 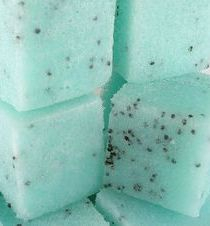 Soap containing vanilla may change color from cream to beige or light yellow as the soap cures. This does not take away from the soap, but enhances the fragrance as the soap matures.We do not use any color whiteners in our body butters. 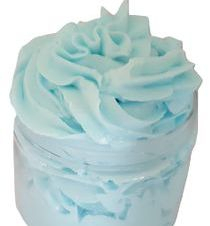 Sugar Souffle Scrubs shelf life will last longer if water is not introduced into your sugar scrub. Do not use sugar scrubs on any cuts or open wounds. You may contact us at maikobathandbody@yahoo.com or fill out our contact us form for custom orders. Custom soaps require a purchase of at least $50. We also love to do wedding favors. Please contact us for more information and pricing. All images, descriptions, and artwork are the sole property of Geisha Bath and Body. All images are subject to copyright. Please DO NOT copy any images and take credit for artwork that is not yours. Those who infringe on any images or artwork will be reported and prosecuted to the fullest extent of the law.